All that remains of the 'passageless' passage tomb at Craigs is a rather quaint chamber and the trace of a circular mound. The tomb stands at a height of 1.7 metres. There are many notches in the uprights and roofstone allowing the roofstone to nestle into place. The roofstone was shattered by a lightning during the seventies and repair work was carried out in the eighties. The northern orthostats are curved giving the appearance of fingers holding up the capstone.The tomb is wonderfully situated with views of Derry to the west. 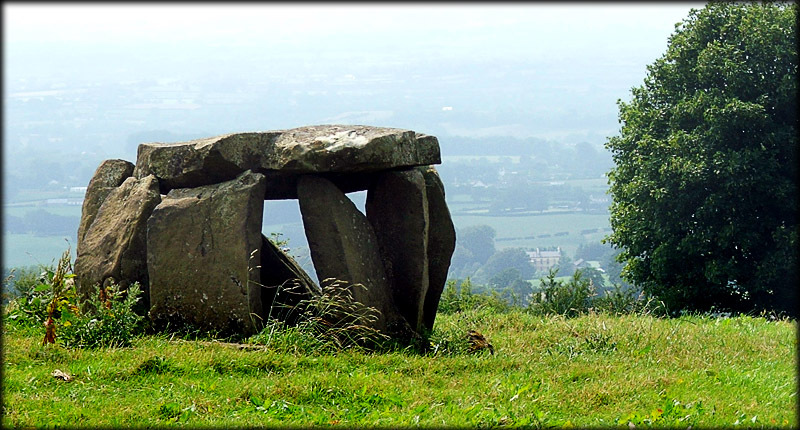 Another example of a 'passageless' passage tomb is 8 kilometres west of here at Moneydig in County Derry. 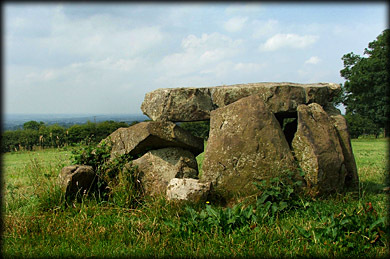 Situated: About 5 kilometres from Dunloy, County Antrim. 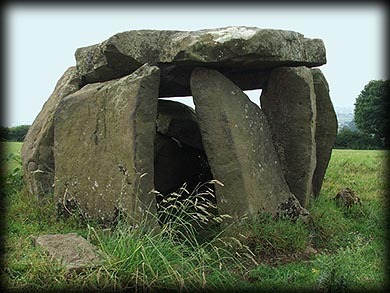 From Dunloy head west to Finvoy, after 3 kilometres turn left at the crossroads then drive south for 1 1/2 kilometres the tomb can then be seen in a field to your right, behind a gate with a stile next to it. Discoverer Map 8: C 973 172 . Last visit July 2006.